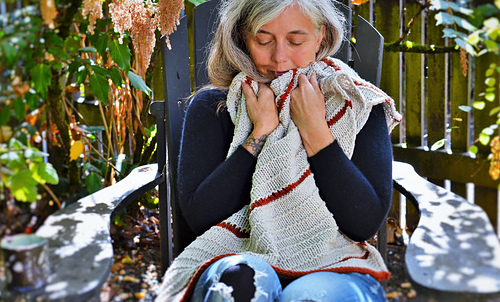 It also happens to be a warm, bright and cozy autumn retreat - soothing to knit and delicious to curl up in. 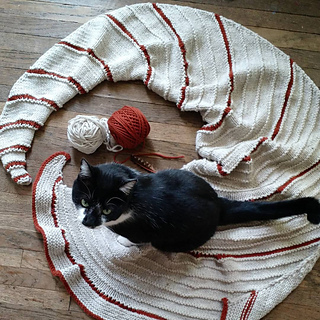 To knit it, you’ll start at the small end and work a growing number of eyelets on just one side, creating a skewed spriral. 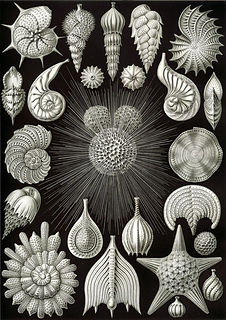 The result will be a shape that looks like a fictional fossil or shell from some unknown creature. 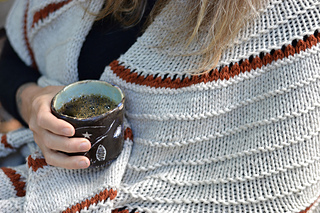 Fossil is made with Aran weight wool, but you can make the shawl in Worsted or DK. 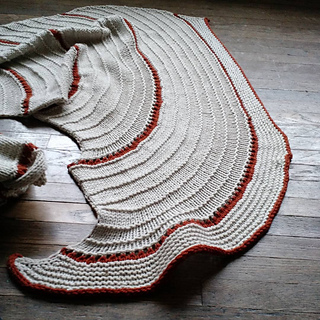 (An extra bit of instructions are included to lengthen the shawl if working with finer yarn.) 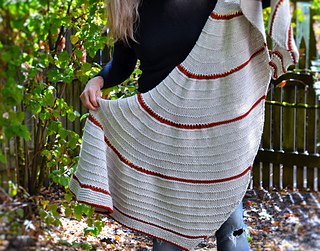 The shawl can be made all in one color, or in two colors as shown, and would be beautiful in tonal yarns as well as the rich solid Quince & Co colors in the sample. 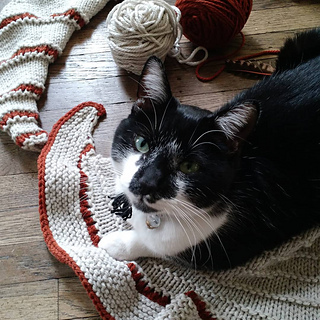 When using the suggested yarn, 4 skeins will complete a single-color version. You will of course need an additional skein to add a contrast color. 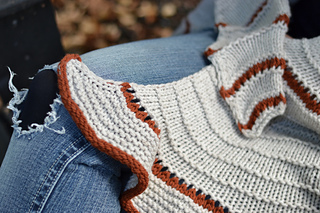 The sample is shown in audouin (undyed) with fox accents.